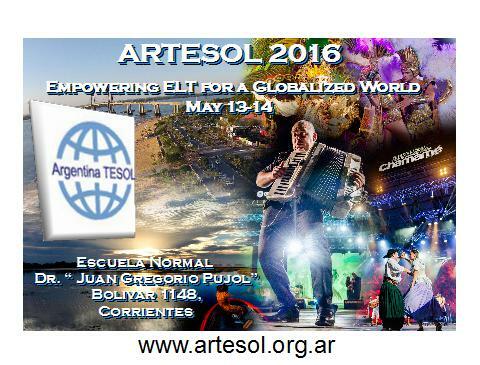 I have already pre- registered for Artesol 2016. I have a doubt: The only way of payment is by bank deposit in Bank Macro? Isn’t it another way to pay? Credit card, mecado pago……? 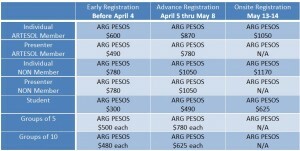 Or is it possible to pay the day of the event having being pre registered? Buenos días. 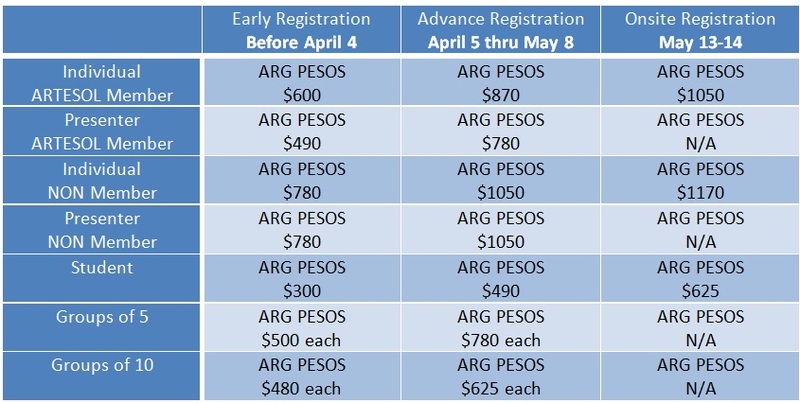 Quisiera saber si entregan certificados? Gracias. Hi, there! I have just send the pre registration form for our group of teachers @ Wings but I forgot to write in the name of a 9th teacher! She wants to kill me now. What can I do? Her name is Silvina Mariel Ramirez. I’ll deposit the fees for all of us, 9 NINE teachers. Will it be OK? Thank you and good luck with the organization! Yes, we do. Looking forward to seeing you at the convention. We prefer a bank transfer or deposit to avoid long lines at the convention. Anyways, if you can’t make it, you can pay onsite. Please, notice onsite fees are more expensive.